Stuff To Look Forward To is back for another year! This will mostly be an archive post for our Calendar page from now on. Sleep warp is an indie pop band that formed in 2003. 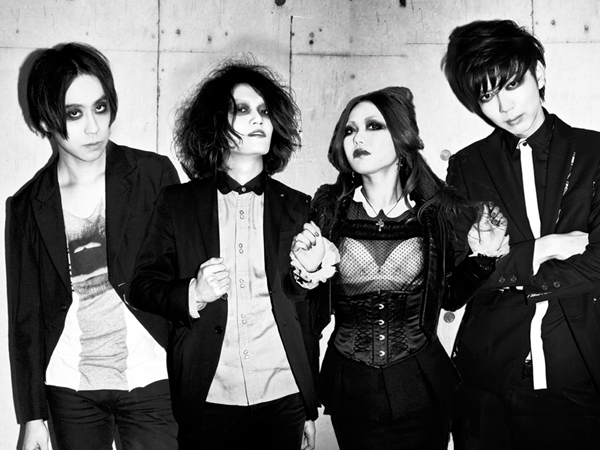 Its current members are Rumi (vocals), Kazuto Tabata (guitar) and Ryoichi (bass). They released their first album Terminal in 2004 and thanks to the Beat Crusaders, four songs from the album were used as inserts in the anime BECK: Mongolian Chop Squad. Their second album Quest For This Velvety World was released in 2006 and received some critical praise in the UK and US. Their fifth album Strange Torchlight was released on December 12. If you’re not feeling sleepy, warp on down to Amazon or CD Japan for downloads and such. Now that we’re done with the best videos of 2012 we can get around to dedicating this column to new J-Rock videos! By coincidence there was a new J-Rock Fridays every week in January. I don’t know if you enjoyed that but we’ll probably go back to biweekly from now on even though I have to cut a lot of videos each time (I guess that’s what Tumblr’s for). Get your headphones ready it’s the time of the year that sakanaction releases new music. Here we’ve got a bit of a split screen video with the vocalist tiredly watching a cute girl running away from handsy dancers. When emotions run dry, the wolves come out to play! I can’t tell if their English has gotten progressively better overnight or if they hired a foreigner to sing the verses but this song is pretty tight. If you enjoy watching women wrestle each other in wet bikinis then “Tatoeba” is your new favorite J-Rock video. I was shocked by the negative reaction over at Tumblr, but still this is the first visual kei video I’ve watched all the way through in a long time. 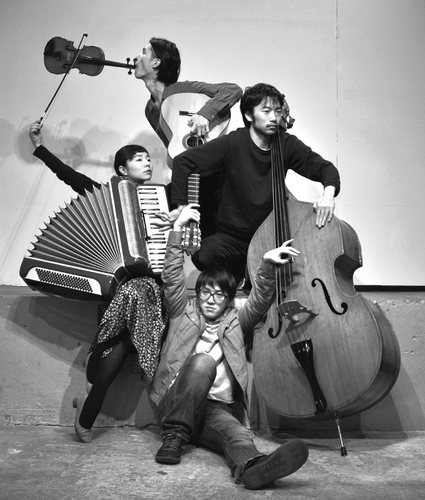 Hyogen (表現) is Mayu Gonto (vocals, accordion), Kimiya Sato (vocals, violin), Kuya Sonoda (bass) and Baku Furukawa (vocals, guitar) from Tokyo. 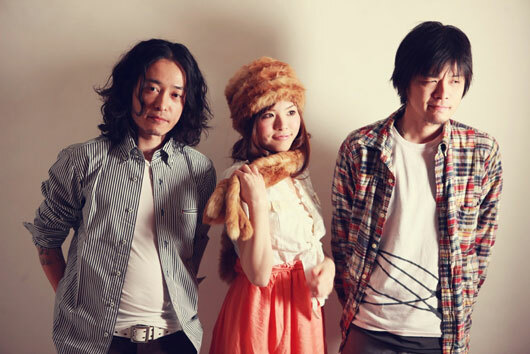 Kuya and their former guitarist formed this folk band in 2005 and their first work was the soundtrack of the dance performance “脈拍 (Myaku-Haku, Pulse Beat)” for Yukina Sakai. Their self-titled album was released in 2009 and their drummer quit the band soon after. When Mayu joined on accordion, hyogen decided to perform as an acoustic band. Their first album is available at Amazon and CD Baby and their newest at Jet Set Records. You can download a few live sets at their SoundCloud. 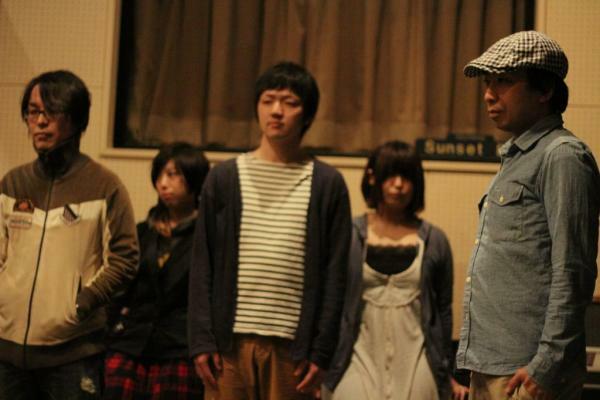 Dinner is a five piece instrumental/post-rock band from Yamagata. They formed in 2002 as a three piece with vocals. The current lineup of Shigeyuki Oba (guitar), Yasufumi Harada (guitar), Jun Ogata (bass), Natsumi Tada (drums) and Miku Kobayashi (piano) was set in 2007. Their first two albums Rock Disco and and…hearing things were released in 2008 and 2009 by fantome records. Their third album B5 No Naka was released in 2011 by Nomadic Records. Yes Asia has the first and third courses. International music star Yoshiki made his network TV debut last night at the 70th Annual Golden Globe Awards. You can see him hand Mychael Danna his award for the Life of Pi score halfway through the video. Speaking of scores, Yoshiki composed the musical theme of this year’s show. You can hear a clip of the song here and purchase the single for charity at iTunes. What was your favorite moment of the Golden Globes? Amy Poehler and Tina Fey are classy ladies. Royal Cabaret is an alternative rock band led by vocalist Miyu and backed by Ryosuke (guitar), Haruhiko (bass) and Shintaro (drums). The band formed in 2006 in Tokyo. Through their performance they hope to promote an atmosphere reminiscent of a dusky underground cabaret and dress in appropriate fetish and Gothic attire. They toured France in 2009 and describe their performance as “Le monde fin-de-siecle” (the world at the end of the century). Their first album Waltz was released in June 2011 and is available at Amazon and CD Japan. You are currently browsing the J-Rock Explosion blog archives for January, 2013.